This Poyser title takes an in-depth look at the lives of the world's true seabirds - the penguins, tubenoses, peleceaniids, gulls, terns, skuas and auks. These birds all spend much of their lives foraging at sea, but the range of ways that they are adapted to exploit the marine environment and balance this with the need to return to land to breed, is astoundingly diverse. They range from the albatrosses, which take their prey from the surface of the water and are capable of efficient gliding flight for hours on end, to the penguins which have dispensed with flight altogether and have developed a morphology and physiology which enables them to dive deeper and for longer than any other birds. 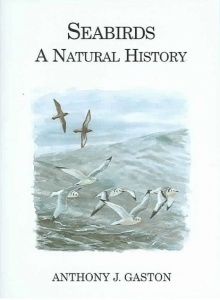 The various problems of being a bird which forages at sea, and the array of solutions evolution has produced to counter them are the theme of this book, which will fascinate everyone with an interest in pelagic birds.